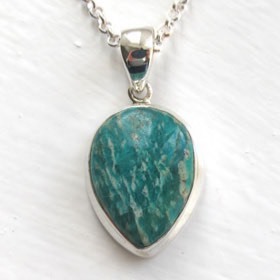 Amazonite is a crystalline mineral and has a glassy opaque texture. 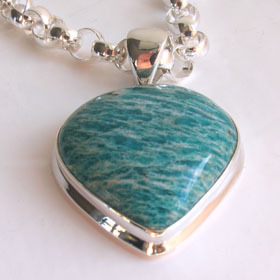 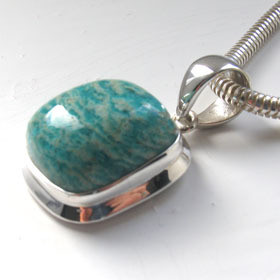 The colour is a particularly attractive turquoise and has dramatic flecks of cream. 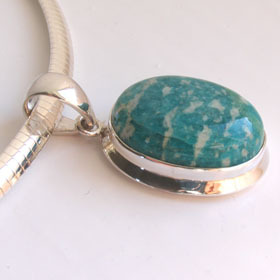 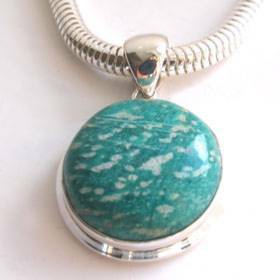 Amazonite is a striking semi-precious gemstone and here we offer a hand selected collection of amazonite pendants. 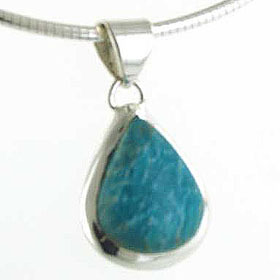 Beautifully set in bright sterling silver, your amazonite pendant looks perfect with one of our Italian silver chains. 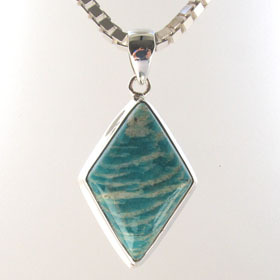 Diamond shaped amazonite pendant set in sterling silver.